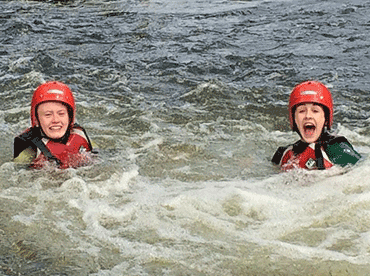 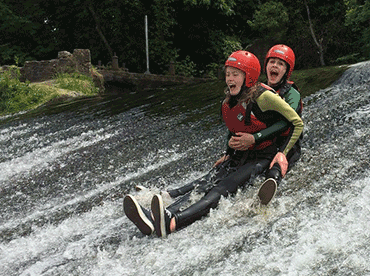 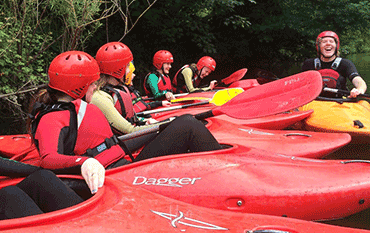 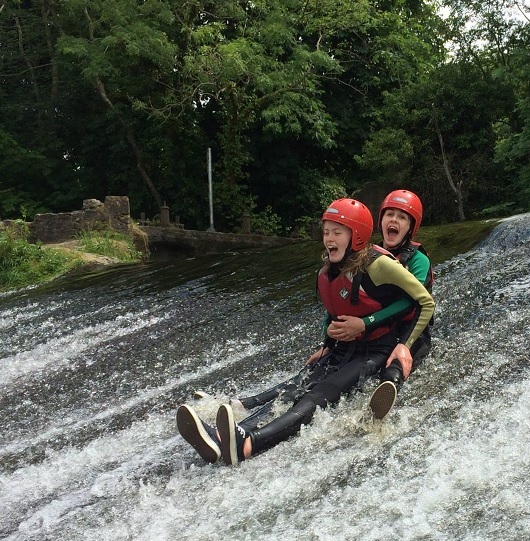 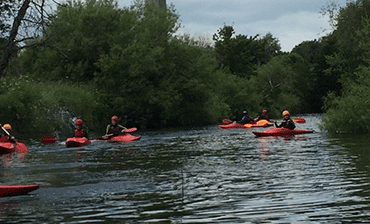 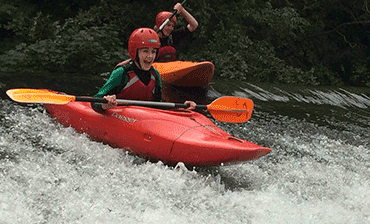 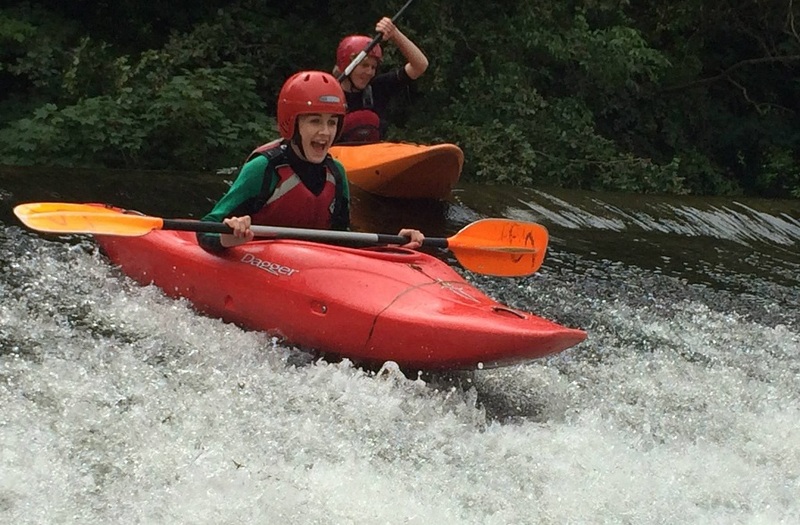 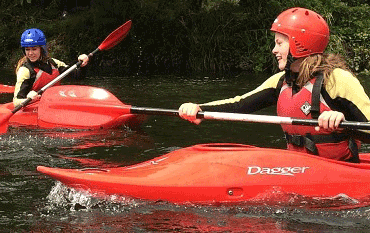 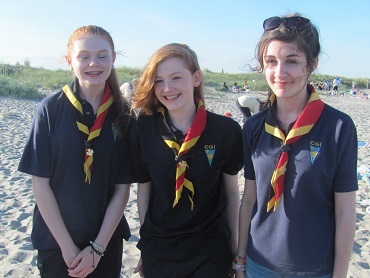 Rangers from Raheny took part in the Ranger Canoe Day during June 2014. 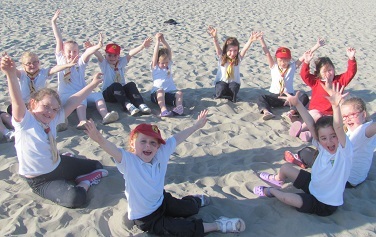 They had fantastic weather for the day and really enjoyed themselves. 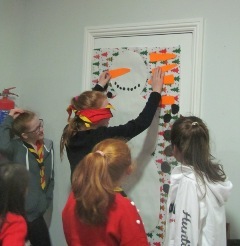 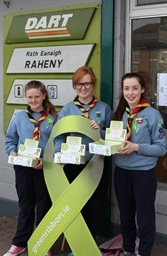 Raheny Guides doing their bit for the National Green Ribbon Campaign. 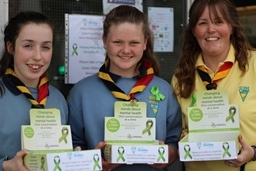 We got the Raheny community and commuters at Raheny Dart station talking about Mental Health and we dispensed free green ribbons to all the passersby. 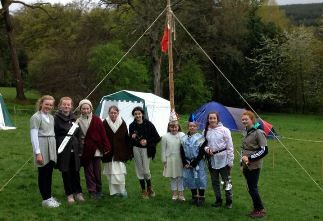 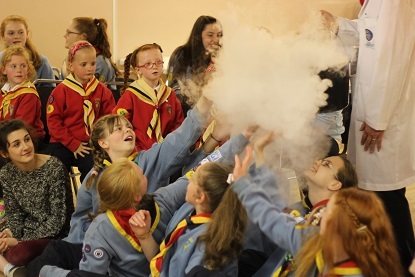 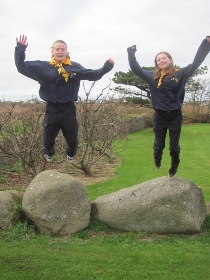 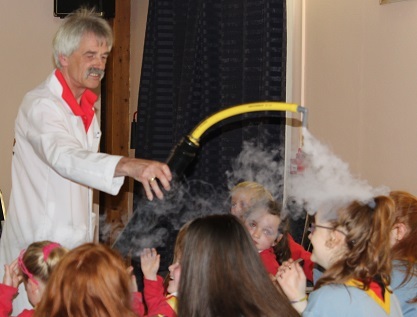 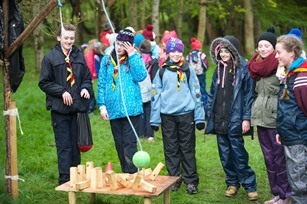 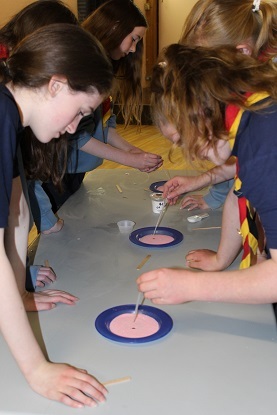 Raheny Guides attended outdoor camp and Medieval Myths and Magic Day at Larch Hill campsite, on Saturday Friday 25th to 27th April 2014. 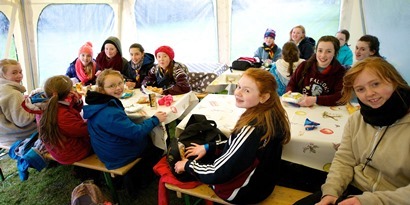 Rangers from Raheny also assisted with the various tasks on the day while Raheny Guiders attended as delegates and took part in the work of the day. 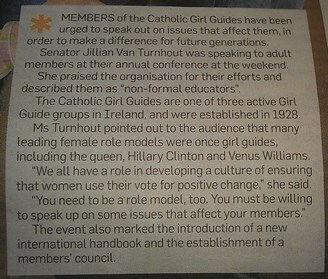 Guiders from Raheny are all very involved in the association. 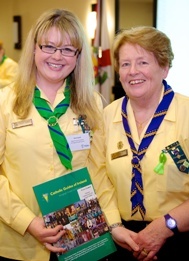 Erica has become National Commissioner for Cygnets, Marie received her An Dushlan award for completing the final level of training in CGI, and for her work on a Mountaineering Handbook 'Rock the Hills' for CGI Guiders, and Yvonne, International Commissioner, relaunched the International Handbook which was recently reviewed and redesigned. 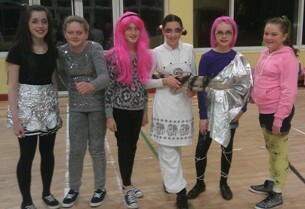 Well done, girls! 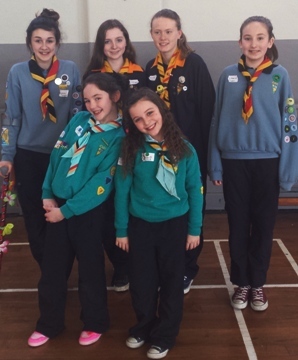 And thanks to all the leaders in Raheny who give of their time for our unit and the association in various ways throughout the year. 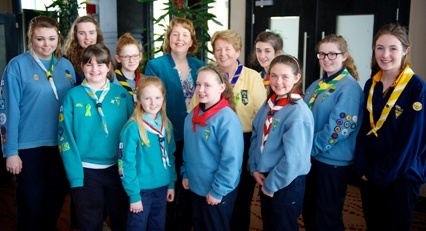 The girls met guest speaker, Senator Jillian van Turnhout, along with our Chief Commissioner (and leader in Raheny), Commissioner Cecilia Browne. 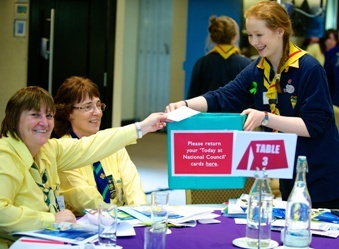 Raheny (Buion An Leanbh Prague)'s delegation at the Eastern Region Members Council Election Day, on Sunday 6th Apr 2014. 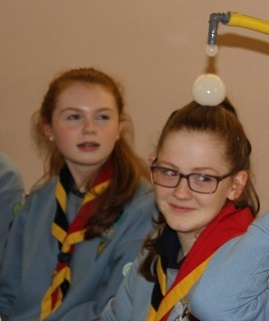 Well done to all the girls for going forward for election and to Rhianna and Catriona for being voted on to the Members Council for the Eastern Region. 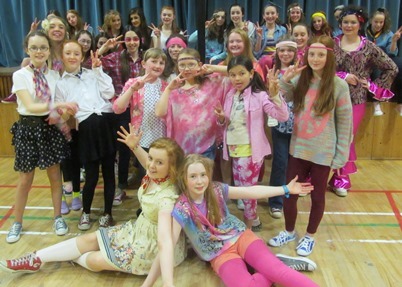 Do us proud, girls! 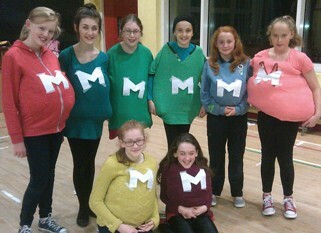 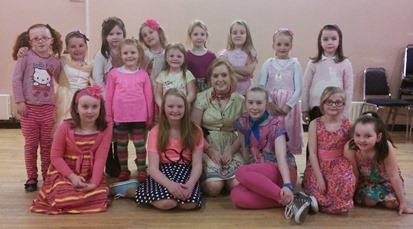 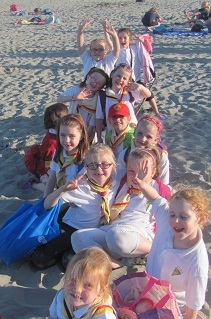 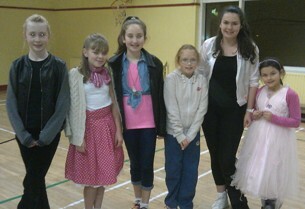 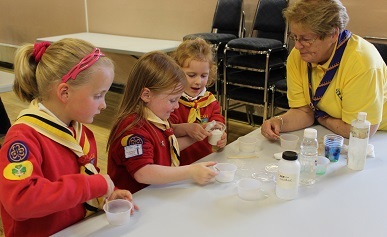 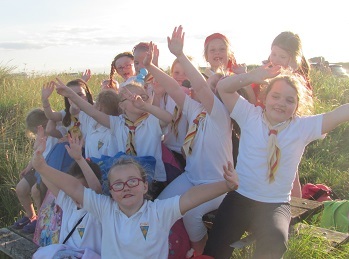 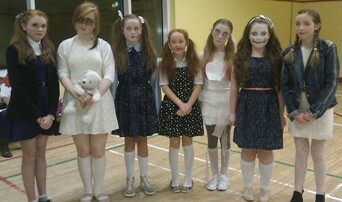 Cygnets and Guides enjoyed Rainbow and 1960s themed nights with dance and fancy dress. 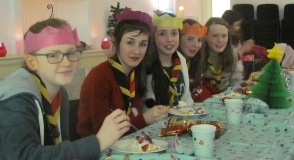 On 7th December 2013, Cygnets annual visit to Santa and Elf Village in Larch Hill. 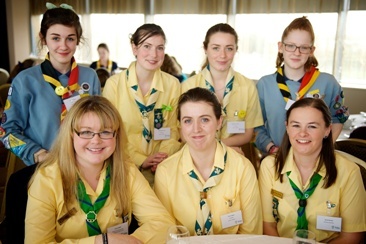 On the 21st September 2013, Rhianna Dougan and Ashling Quinn both received their Chief Commissioner's Award at the official ceremony at The Law Society. 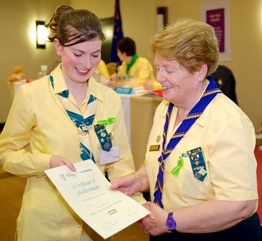 Both girls also received the special recognition of being awarded the gold award. 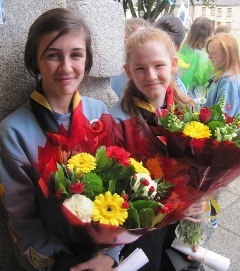 Congratulations, girls. 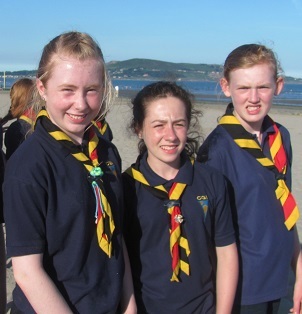 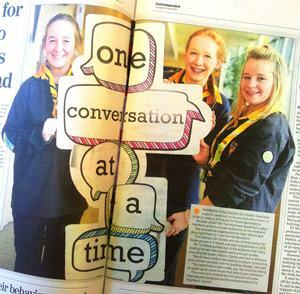 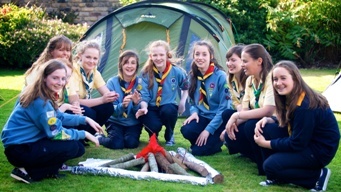 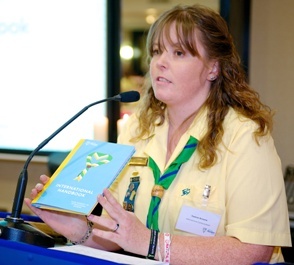 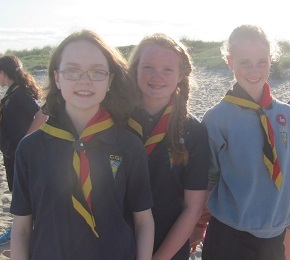 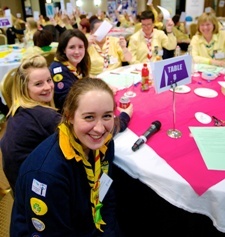 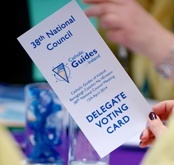 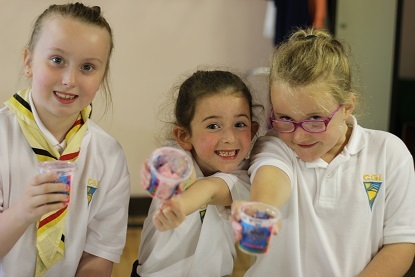 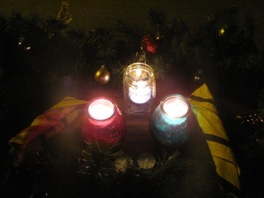 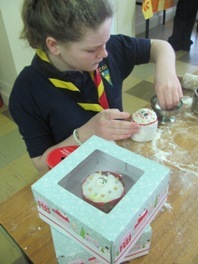 You're keeping up the great tradition of Raheny Guides in the CCA.